After last week’s below-freezing temperatures, New Yorkers are cheering that the next couple of days are in the 50s. Luckily, spring is almost here, and I don’t mean March 20, as the Gregorian calendar dictates. The lunar calendar, which Japan followed until the Meiji government made the switch while it was modernizing in 1873, puts the start date of spring six weeks earlier. 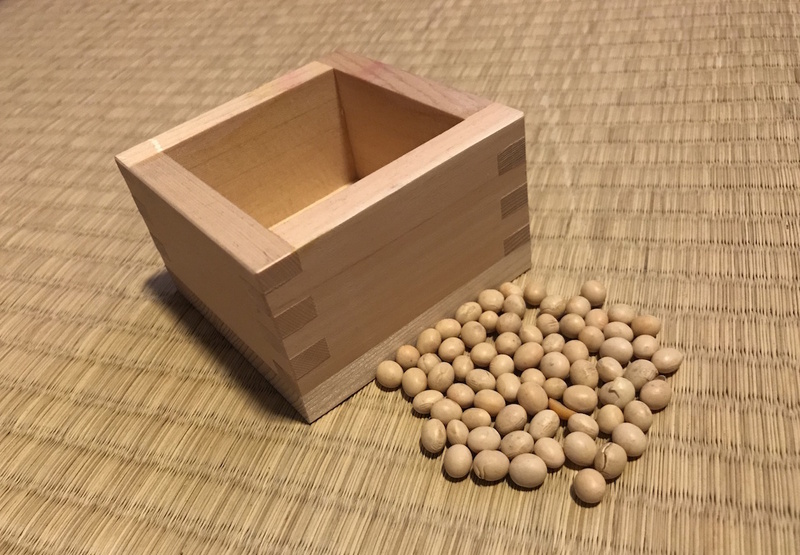 After the soybeans are dispersed, it’s customary to count out the number of beans that corresponds to your age – called toshinokazu – and eat them for good luck and good health throughout the year. Eating ehomaki, a thick sushi roll that means “lucky direction roll,” is also a way to ensure your good fortune, but only if you eat it whole – no slicing allowed! – and while facing the designated lucky direction. This year’s lucky direction is east northeast. Another custom of Setsubun is to hang the heads of sardines, or iwashi, on garland outside the home. The observation is celebrated throughout Japan, in homes as well as at shrines. Here’s a YouTube clip from Yoshida Shrine in Kyoto, complete with dramatic performances from the oni. As always, Japanese cats of Instagram and Twitter were on hand to provide us with cultural lessons about Setsubun. Here are a few informative, as well as adorable, faves. This is Nyalan, the Salarycat who works for a travel company called Jalan. He enjoys discovering local culture while on business trips throughout Japan. On Setsubun he “dressed” as a purple oni, who is said to represent sorrow. Next we have one of the cool cats from Instagram user @cafeneko8, a Japanese cat cafe. He’s dressed as another oni, which seems to be a popular theme among Japanese cats.
. ちよだ鮨と京樽で1本ずつ購入して海鮮恵方巻きの食べ比べ。どちらも具がぎっしり詰まっていておいしかったです。自分ではなかなかこれだけの種類の具材をそろえて巻き寿司をつくるのは難しいので、毎年楽しみにしています。 . きなこは恵方巻きにはまったく興味を示さずにポーズをとり続けていました。子猫のころ、私が目を離した隙にマグロだけ引っ張り出して食べていたときもあったけれど、今は絶対そんなことしません。お利口な猫さんに成長してくれておかあさん誇らしいよと褒めちぎりました。 . #猫 #cat #きなこ #キジトラ #tabbycat #猫のいる暮らし #catstagram #にゃんすたぐらむ #catlife #catlover #恵方巻き #節分 #setsubun #24havec #カステヘルミ #山口利枝 . 😺👹🍣 Setsubun day. Today’s lunch is Ehomaki. Ehomaki is a sushi roll that is believed to be good luck when eating on February 3rd. 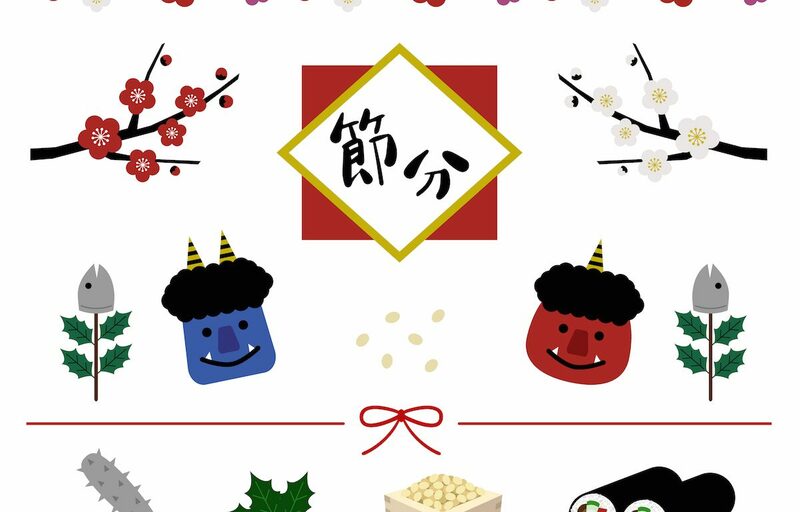 When eating Ehomaki, look at this year’s good luck direction and eat quietly (no taking) as making wishes. This custom began in Kansai area but nowadays it’s a custom that’s practiced nationwide. Here’s another Setsubun spread, this time from Instagram user @rinne172. Thousands of followers log on each day to see what Maro and Kukuri are cooking and wearing. (Make sure to swipe to see all three pictures.) They always teach a lesson, be it culinary or cultural. Interested in learning more about Setsubun? Japan Society is having Setsubun celebration as part of its Creative Play family program. Explore Japan’s seasonal customs and culture through storytelling, creative play, songs, and art making. Preschool-aged children and their caregivers enjoy intimate, tactile, and interactive classes based on a different theme each month. Sunday, February 10 from 1:00 p.m. until 2:00 p.m. Recommended for children ages three through five and accompanying adults, Japan Society invites you to welcome spring by scaring away ogres by throwing soybeans at them. Dress your parents up like ogres, then practice some ogre moves and dances before the bean throwing begins. Space is limited, so register in advance. For more information, please visit Japan Society’s website.